The French are known to take 1 to 2 month long vacations, spending quiet time in resorts and giving their body a well deserved rest. 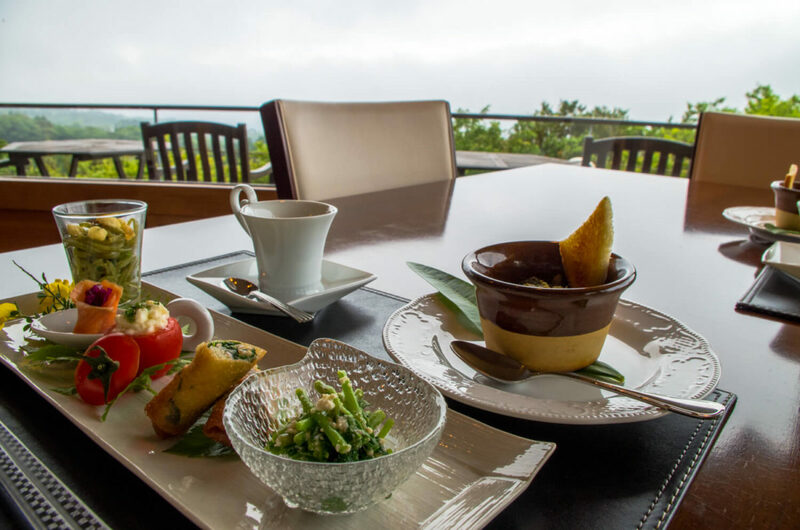 Gazing at the ocean and woods from a balcony high above, listening to the song of birds chirping, feasting on healthy and delicious foods, a detox for both the mind and body… you can enjoy all of the above at a secret location on Izu Oshima Island. 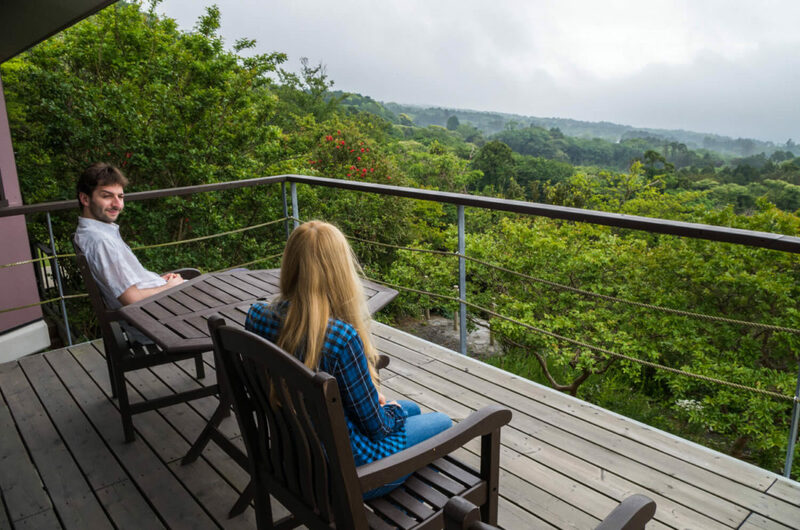 At Mashio, with its view overlooking Izu Oshima, it’s easy to make yourself believe that you are in Bali. Today, I encourage you to leave behind that suit and come visit for a breath of fresh air. 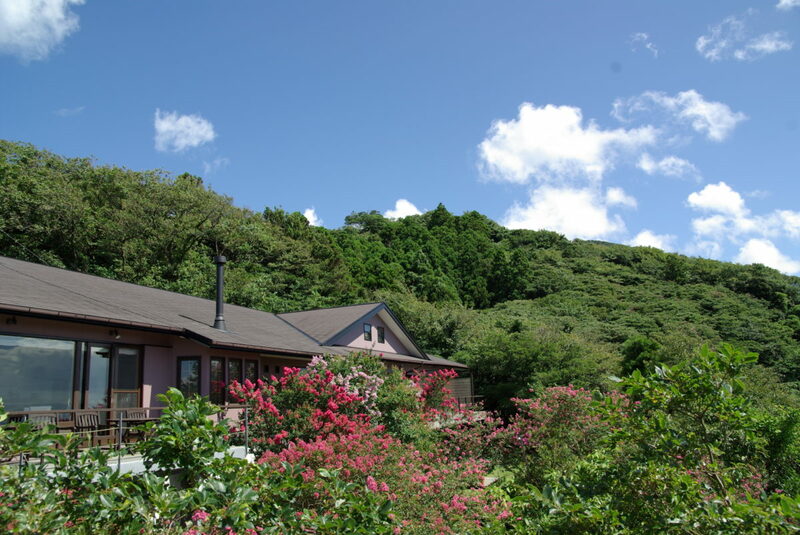 15 minutes drive from Motomachi Port,a half hour drive from Okada Port and 20 minutes drive from Oshima Airport. Driving along the coast I am deeply impressed by the beauty and splendor of the ocean, and my heart is taken by the grandeur of the mountain that stands tall at the heart of the island. The writer of this article, driving with her friends visiting from abroad and chatting about the good times they shared in the past, arrive at Mashio in no time. 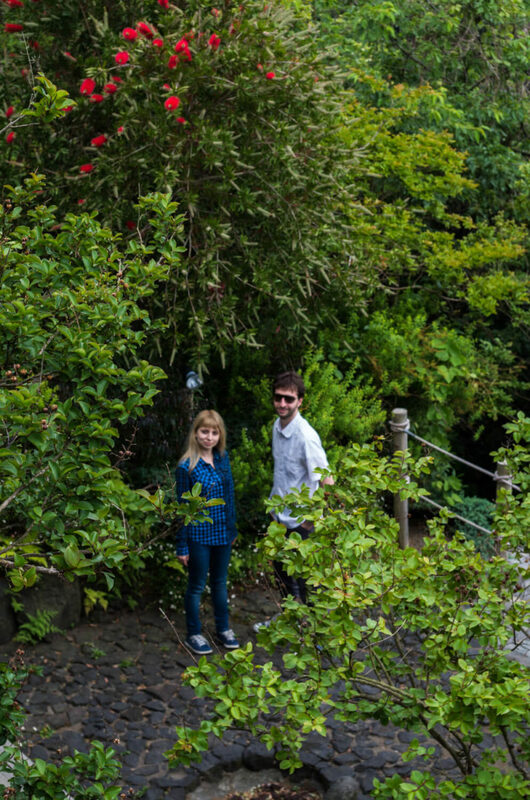 The moment you get out of the car, you are greeted with trees and a variety of seasonal blooms. There’s also a moderately large door that raises feelings of excitement. 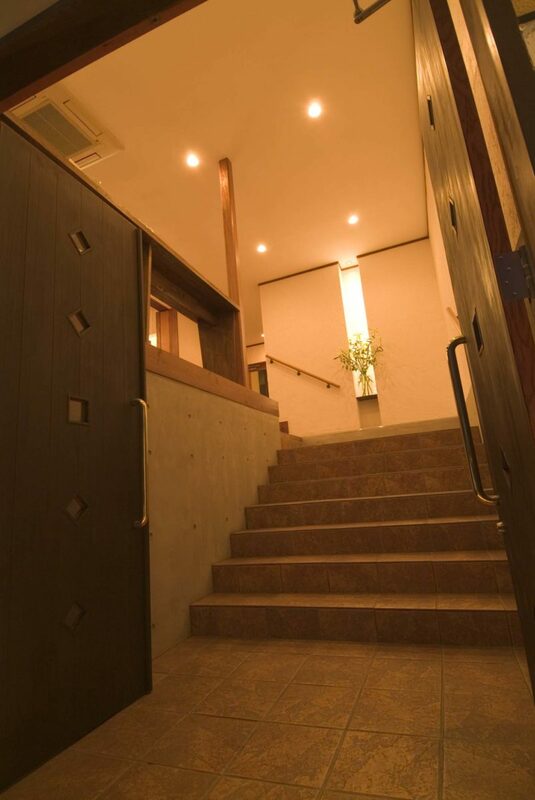 We open the door and walk down the stairs. The muscles on my face loses all tension and I can’t help but grin at the view in front of me. One side of the wall is all glass, allowing for a sense of freedom as though you are actually in the surrounding woods. 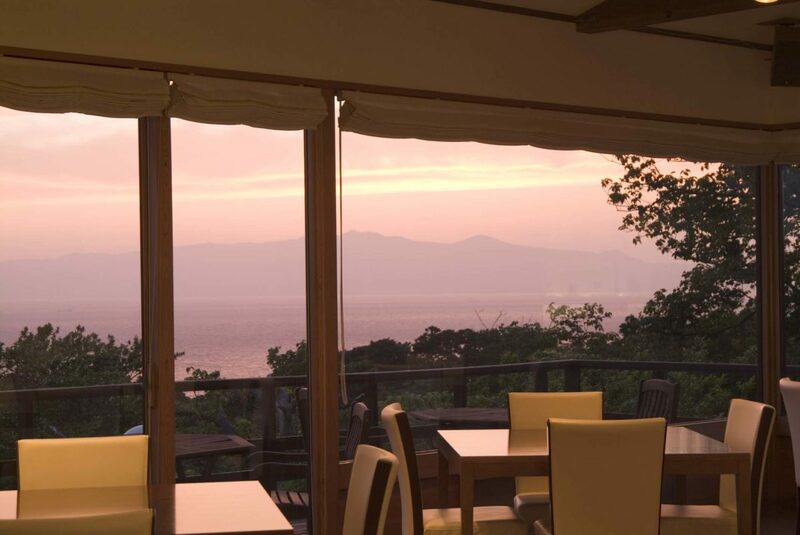 A panoramic view of Oshima right here inside the hotel. There is a bar counter where you can sit and enjoy the view all day without getting bored. We were welcomed by the owner of Mashio, a native of the Oshima with a deep appreciation of the island. He is a warm, genuine man who greets even novices to the island with a ‘welcome home’. 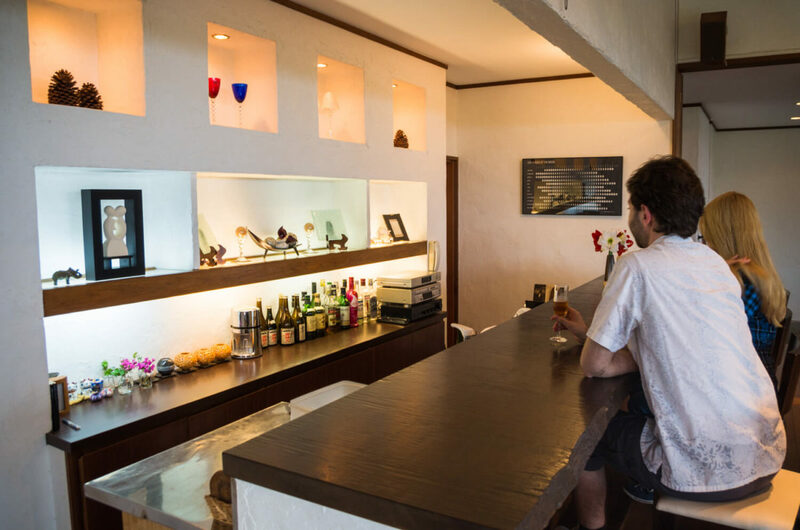 Mashio has a small but comfortable interior that accommodates 3 groups a night. Every room has an ocean view, and you can wake up to the fresh air and smell of the ocean. Now far away from the hustle and bustle of the city, listen in to the sounds of mother nature. It’s always a wonder to realize that everything is alive. All 3 of the rooms have different characteristics, all very attractive. 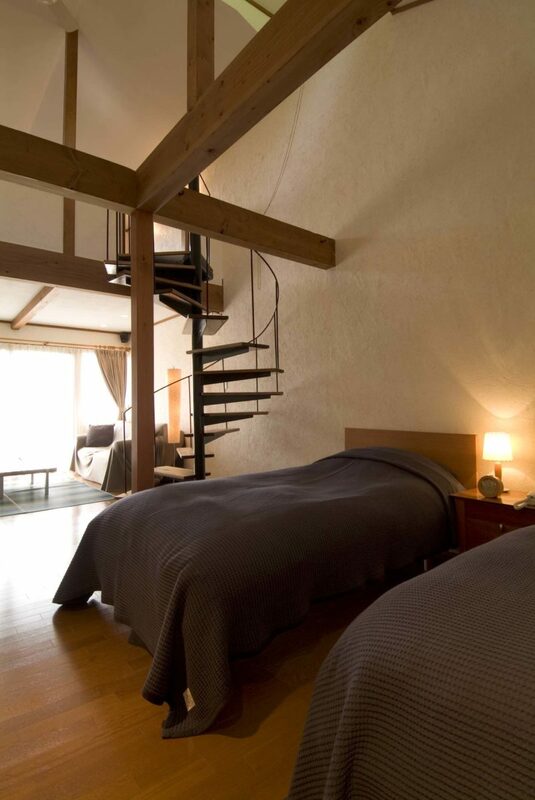 And last but not least is Room Y with its warm, modern feel with a nod to Japanese style. 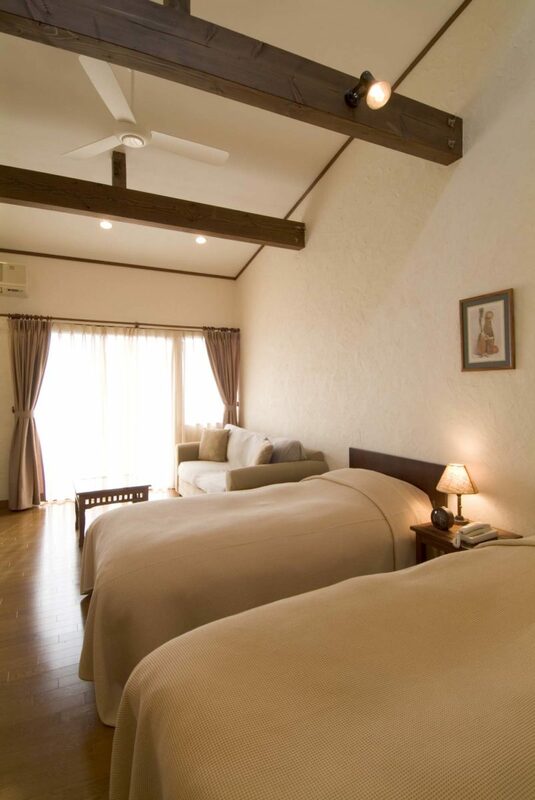 M and Y can accommodate up to 5 guests per room, allowing for families to stay together as well. 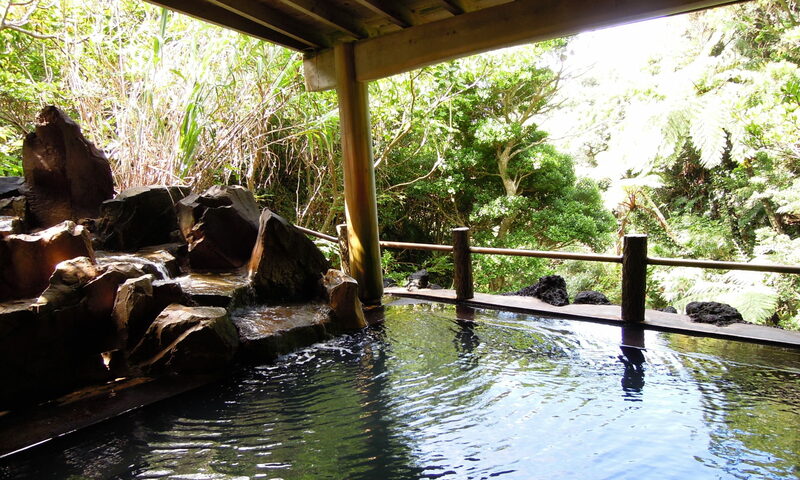 The writer did a little fist pump upon learning that there was a private hot bath available for reservation. 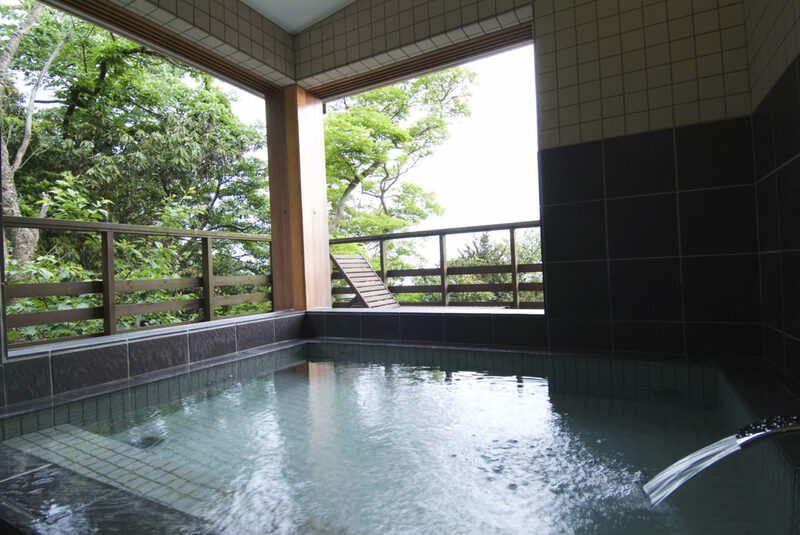 There is nothing better than soaking in a hot bath while gazing at the beautiful nature view extending far and wide in front of your eyes. 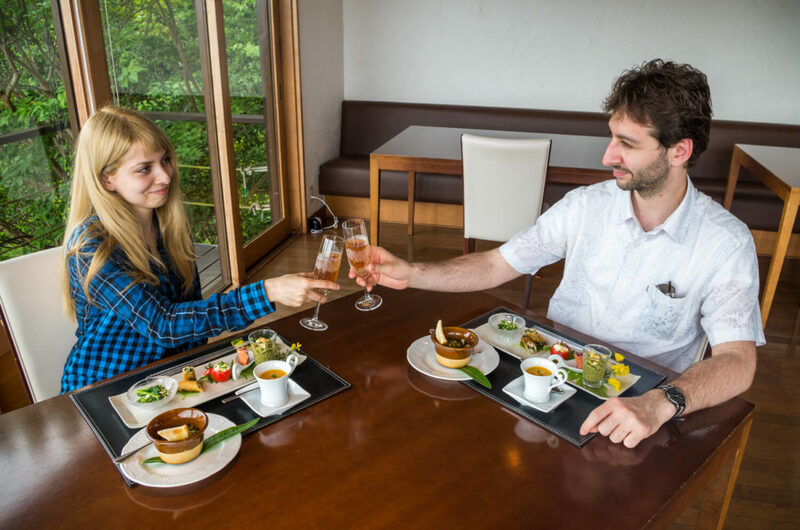 One of the enjoyments of vacation stay is food, and here at Mashio you can savor a carefully prepared meal that uses local ingredients. On our stay, Ashitaba, a local specialty herb was featured in many of the dishes. The herb, rarely seen on the main island of Japan, has long been regarded as a special herb effective for long lasting youth and longevity, and is packed full of vitamins essential for beauty. Mashio’s organic meals will help cleanse your body from inside out. Rising with the sun, I breathe in the clean air and feast my eyes on the beautiful, vast view of the ocean. 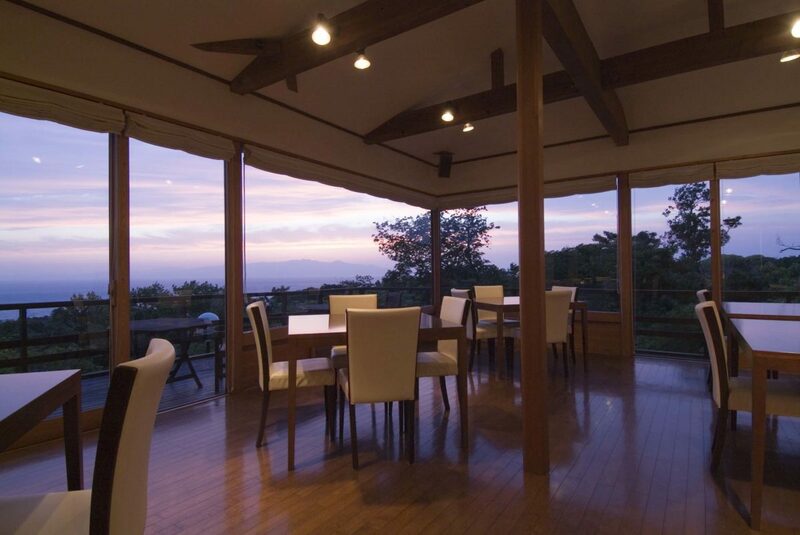 At night, after filling up on food that is actually good for you, making your body happy, you can enjoy some drinks with friends and family or gaze at the starry sky from the terrace. 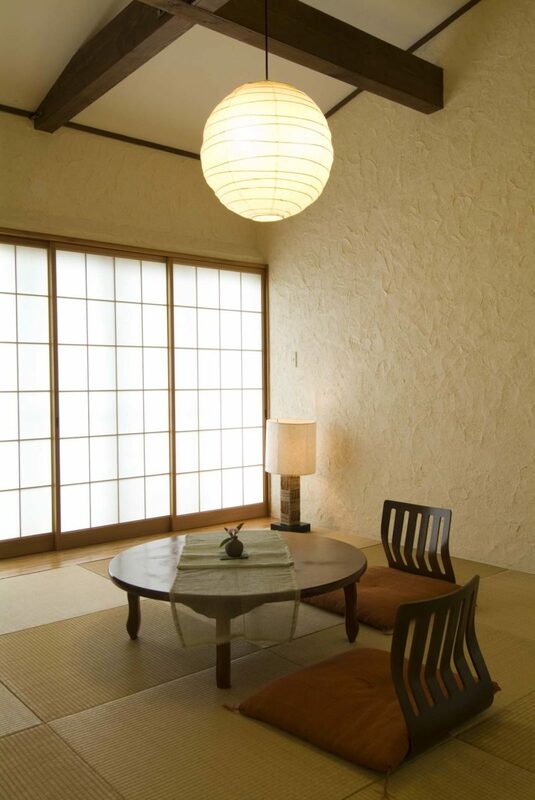 The luxury of spending your time like this is only made possible thanks to a place like Mashio. Relaxing both our body and soul, we can be as we are meant to be. Right here, at this place.